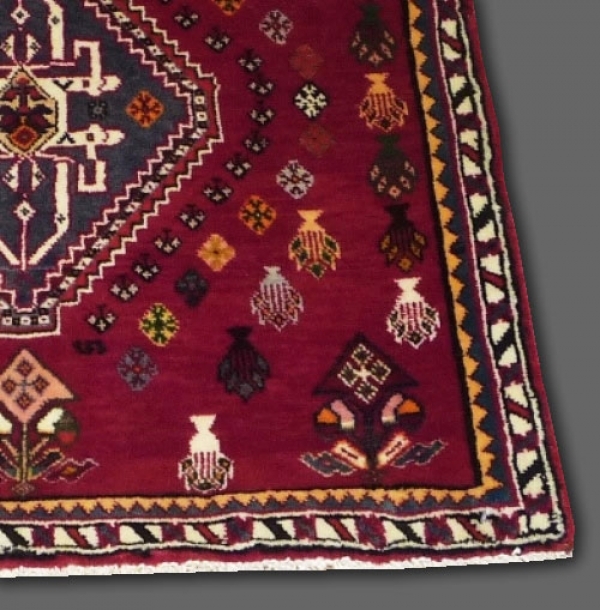 Persian Qashgai Kashkuli. 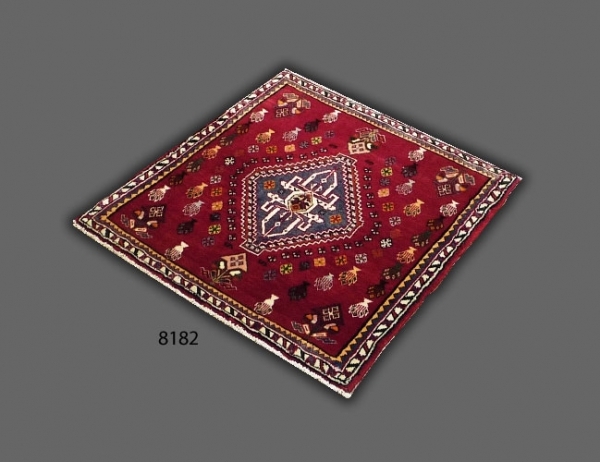 Made by nomadic tribesmen from the uplands of the Fars province in southern Persia. The knotting on the better items can be extremely fine by nomadic standard , and a good quality wool from the flat tailed sheep is normally used. Nomadic, Natural Dyes, Hand knotted, Wool pile.